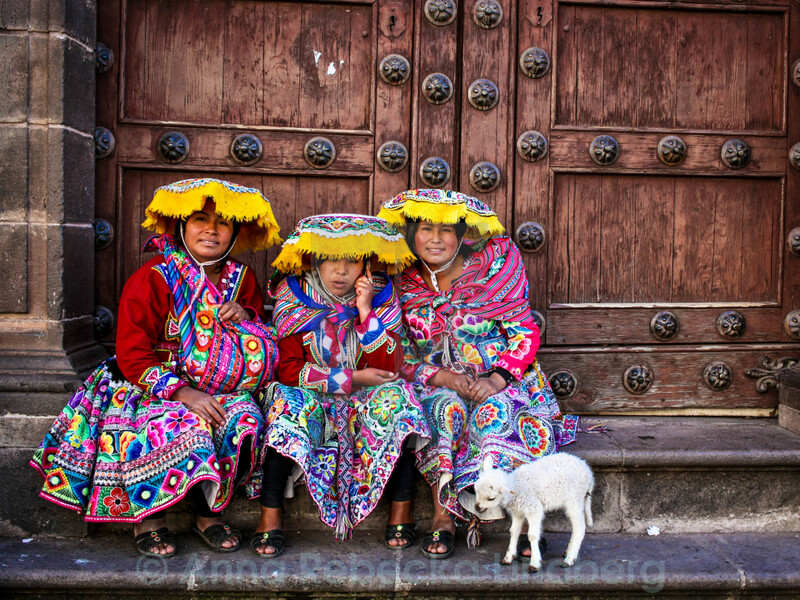 Three peruvian women dressed in traditional clothes posing for the camera. One of the girls is having a break, talking on her cell phone. At their feet stands a small alpaca. Taken in Cuzco, Peru.